Updated 22nd January: Veteran comedian and actor Freddie Davies is joining the cast to recreate the role of Ben Weatherstaff, having appeared in the original RSC and West-End productions. 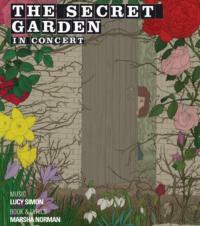 As already mentioned The Secret Garden musical is being presented as an intimate concert at The King’s Head Theatre, Islington from 10th February – 17th March 2013. The cast has just been announced with Zac Donovan (son of Jason Donovan) sharing the role of Colin with with Tyler Fagan (Gustave in Andrew Lloyd Webber's Love Never Dies and Michael Banks in Mary Poppins). The role of Mary Lennox will be shared between Ana Martin and Olivia Hallett. Alexander Evans (Masterclass on Broadway) will play Archibald Craven: Amanda Goldthorpe-Hall is Mrs Medlock (which she understudied in the original UK production): Rachael McCormick is Martha (Mrs Corny in Oliver! ): Graham Hoadly who has just played Bert Barry in a tour of 42nd Street: Zoe Curlett (LesMiserables and Phantom) will play the role of Lily. They will be joined by: Ross Barnes (A Winter's Tale), Robert Dalton (Save the Last Dance Tour), JorDon Lee Davies (Into the Woods : St David's Hall), Martin Dickinson (Jekyll & Hyde Tour), Natalie Douglas (Steel Pier), Wesley Dow (When Harry Met Barry ), Joanna Eliot (Let There Be), Fiona Finsbury (The Young Ones), Mona Goodwin (Spring Awakening), Matthew Ronchetti (A Winter's Tale) and Pippa Winslow (Old Goat Song). The Secret Garden : in Concert will be directed by Matthew Gould with David Keefe as musical director.